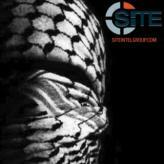 The pro-Islamic State (IS) hackers known as “Cyber Kahilafah” announced that a member of the Cyber Caliphate hacking group was killed by pro-regime Shi’ite militia forces. 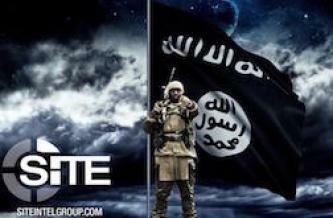 In an operation it dubbed “Rising Vengeance,” the pro-Islamic State (IS) hacking group the Caliphate Cyber Army (CCA) released a “kill list” with over 22,000 U.S.-based real estate company employees. 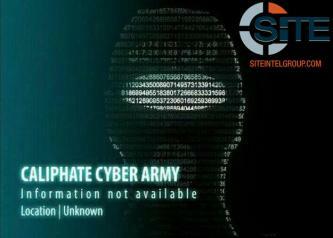 The pro-Islamic State (IS) hackers known as the Caliphate Cyber Army (CCA) posted a message seeking new recruits with technical skills. 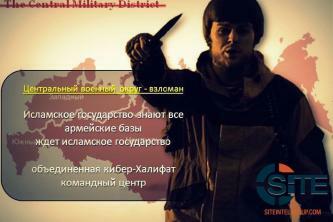 For the second time since July 25, 2016, the pro-Islamic State (IS) hackers known as the United Cyber Caliphate (UCC) distributed a list of 362 individuals alleged to be members of the U.S. Army, stating “kill them all.” The listed data, sourced from an August 2015 “kill list” released by another pro-IS hacking group, included personal information, such as full names and phone numbers. 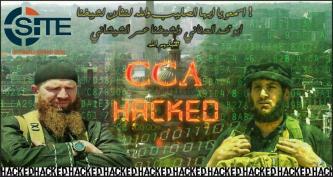 The pro-Islamic State (IS) hackers known as the United Cyber Caliphate (UCC) disseminated previously released alleged personal information of members of the U.S. Air Force. 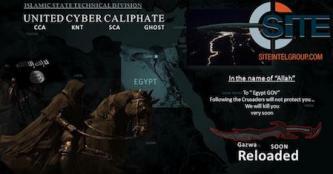 A pro-Islamic State (IS) media group released an infographic touting statistics about cyber operations supposedly conducted by the United Cyber Caliphate hacking group. 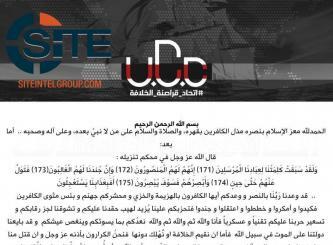 The pro-Islamic State (IS) hackers known as the United Cyber Caliphate (UCC) released a dump of personal data allegedly pertaining to 20,000 employees of the Suez Canal Authority in Egypt. 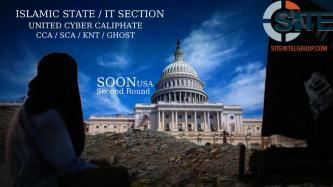 The pro-Islamic State (IS) hackers known as the Caliphate Cyber Army (CCA) distributed a list of 289 personnel affiliated with the U.S. Army Corps of Engineers (USACE), including publicly accessible information such as their names and the addresses of their respective government office buildings. 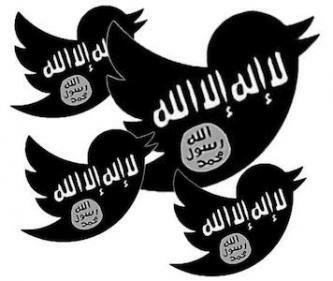 The pro-Islamic State (IS) hackers known as the Caliphate Cyber Army (CCA) distributed a list of 590 Michigan Police officials, including publicly accessible information such as their names and the addresses of their respective police departments. 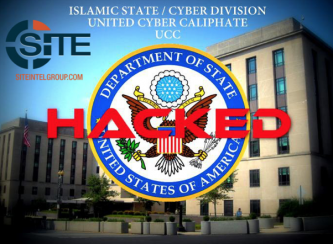 The pro-Islamic State (IS) hackers known as the United Cyber Caliphate (UCC) released more data it claimed obtaining from a hack of the U.S. State Department, giving information on another 22 staff members as "wanted to be killed." 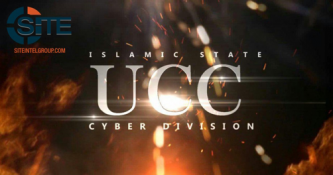 The pro-Islamic State (IS) hackers known as the United Cyber Caliphate (UCC) posted screenshots of some of 50,000 Facebook and Twitter accounts the group claims they have gained access to. The pro-Islamic State (IS) hackers known as the Caliphate Cyber Army (CCA) posted screenshots and spreadsheets with public information about individuals arrested by the Dallas Police Department as a response to the shooting of police officers during a “Black Lives Matter” protest in Dallas, TX. 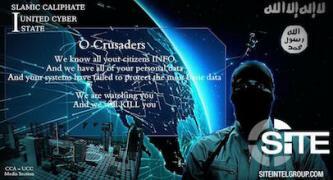 The pro-Islamic State (IS) hackers known as the United Cyber Caliphate (UCC) has posted a new kill list that reportedly focuses on Christian and Jewish houses of worship. 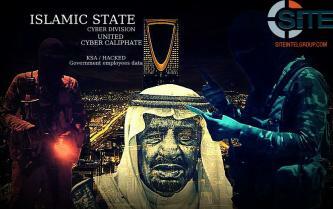 The pro-Islamic State (IS) hackers known as the United Cyber Caliphate (UCC) claimed to have hacked the Saudi Arabian government and published a list containing employees’ data, including their names, phone numbers, and email addresses. 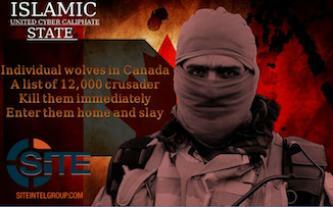 The pro-Islamic State (IS) hackers known as the United Cyber Caliphate (UCC) shared 280 links to the “kill list” of Canadians released yesterday in an attempt to ensure it stays online and available for dissemination to IS supporters. 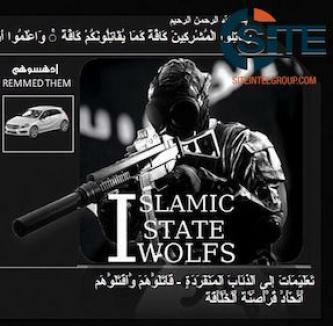 The pro-Islamic State (IS) hackers known as the Caliphate Cyber Army (CCA) posted “directions to individual wolves” on choosing targets and locations for lone-wolf attacks.